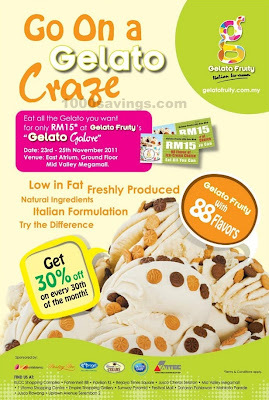 Gelato Fruity: Eat all Gelato you want for RM15 only @ Mid Valley Megamall! Go on a Gelato Craze! 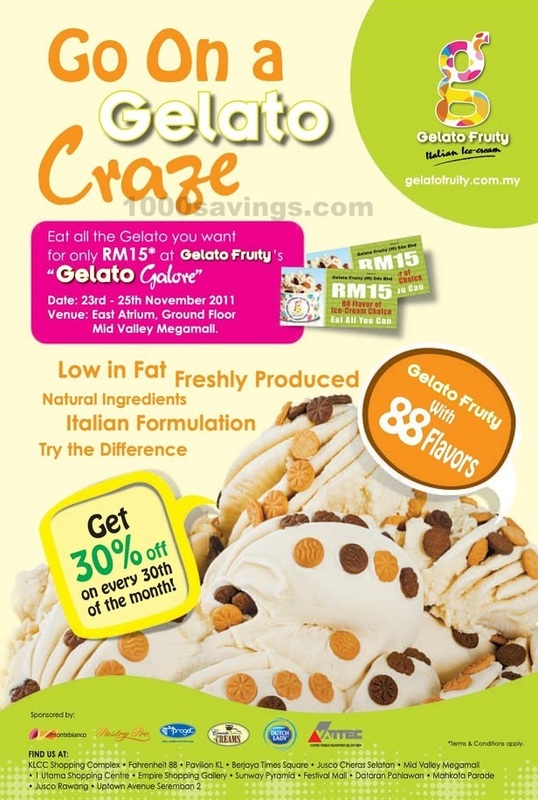 at Gelato Fruity's "Gelato Galore"
Lets craze over Gelato (Italian word for ice-cream) this week starting from tomorrow! Get 30% off on every 30th of the month!